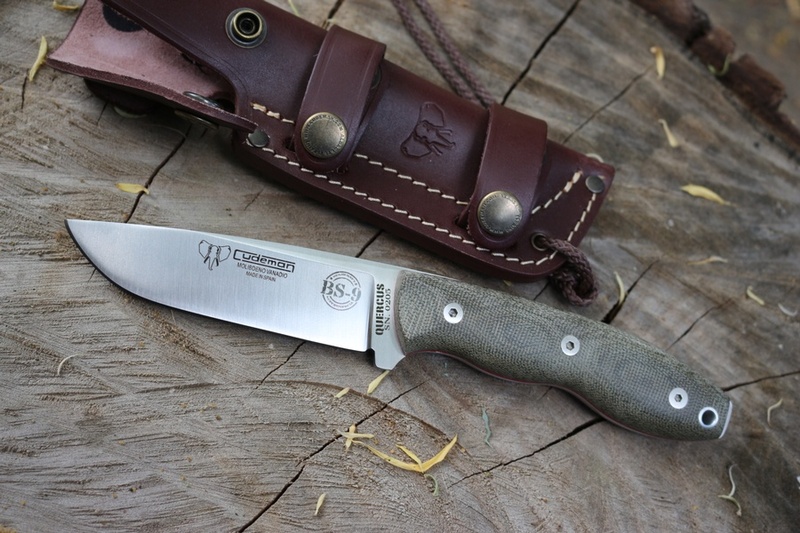 Cudeman BS-9 Bushcraft Knife Plain Sheath Green Micarta. 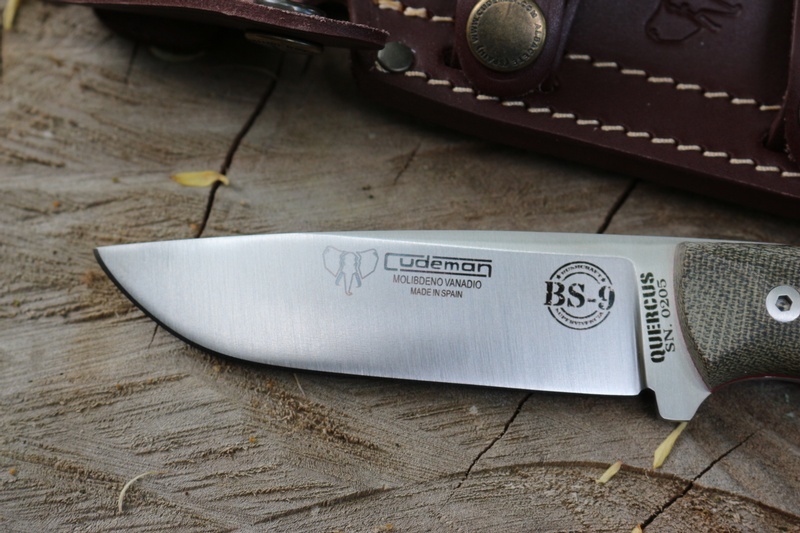 A knife designed specifically for Bushcraft, the BS-9 is an excellent tool for the Outdoors. 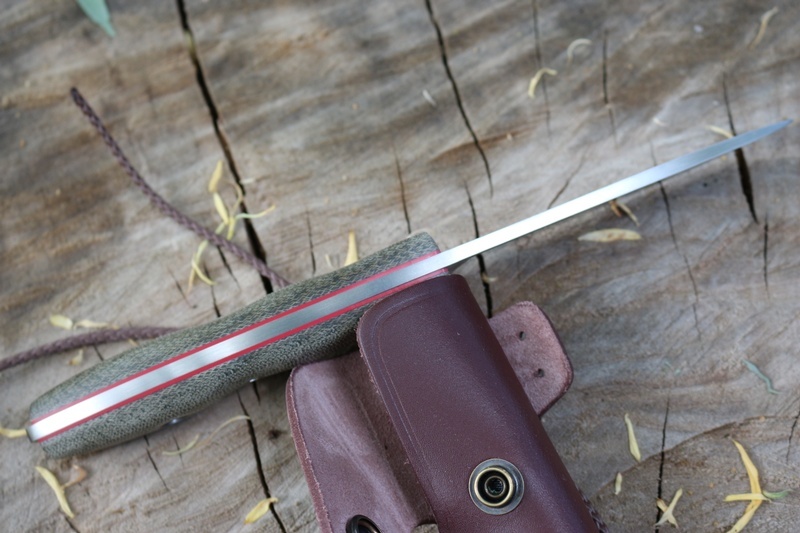 The Knife has a 4.5 MM thick full broad tang with a very well designed and ergonomic handle, lots of width and a very nice arch with a deep rounded end, insets for chest lever grip and exposed tang. The Steel is 4.5mm thick Molybdenum Vanadium (at 58HRC) its a very tough steel, good edge holding. Flat ground the knife is sharpened at approx 20deg angle and this aids ease of resharpening in the field. Each Knife is individually numbered and slabs are removable. Comes with quality sheath. (see pics for details). 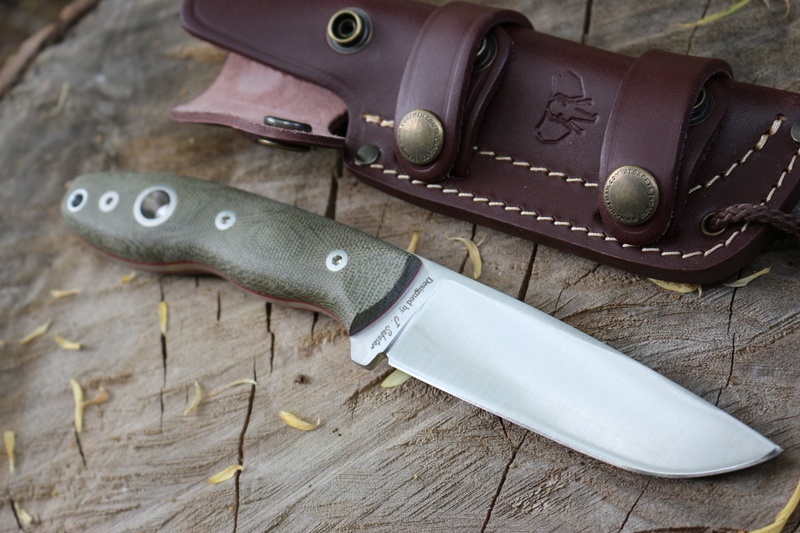 Purchase through PayPal by using the "Add To Cart" button above or use the form below to order the Cudeman BS-9 Green Micarta Plain Sheath . Feel free to contact us if you have any questions about the Cudeman BS-9 Green Micarta Plain Sheath .